Many of you are probably looking forward to September 12 because of the tenth anniversary of Apple’s iPhone. Well, it’s not the only company with a big reveal set on that day. At IAA Cars 2017 (more commonly known as the Frankfurt Motor Show) next week, German automaker Mercedes Benz will finally unveil a production-ready version of its hydrogen car. 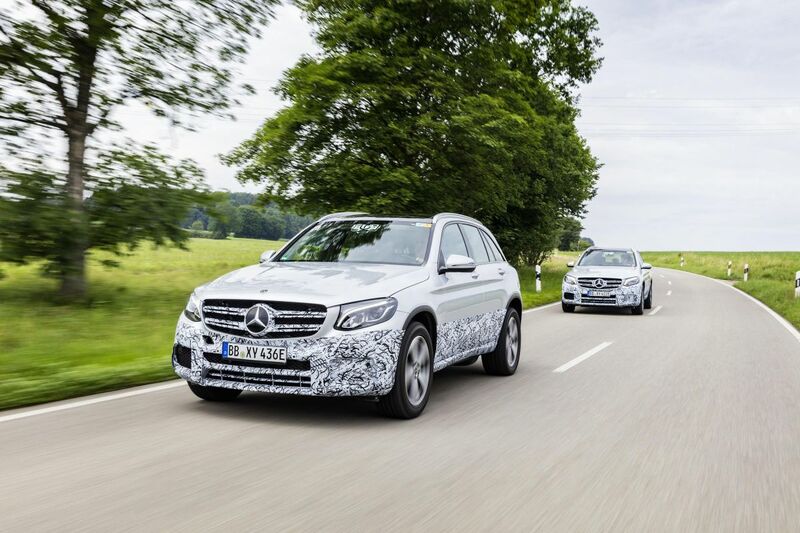 Mercedes has supposedly been working on a hydrogen fuel version of its midsize SUV called the GLC. Since it will be powered by hydrogen fuel cells instead of the usual combustion engine, they’re calling the new vehicle the GLC F-Cell. As far as its basic specs go, here’s what we know. According to Mercedes parent company Daimler AG, the GLC F-Cell packs two tanks encased in carbon-fiber, capable of carrying up to 4 kilograms (8.8 pounds) of hydrogen. Plus, it has a 9 kWh lithium-ion battery together with its hydrogen fuel-cell stack. The battery would allow the GLC F-Cell to run all-electric for up to 50 kilometers (roughly 31 miles). With the battery and the fuel cells combined, this hydrogen SUV is supposedly capable of covering 500 kilometers (310 miles). With the launch of the GLC F-Cell SUV, Mercedes will be joining fellow veteran carmakers Honda and Toyota in building up the relatively new hydrogen car market — an industry that’s been rather slow on the uptake. It’s not surprisng, considering how complicated and expensive it is to develop hydrogen fuel cells, let alone do it efficiently. Some recent research has been trying to overcome these challenges, but Mercedes has its own style of doing so. For one, since hydrogen charging infrastructure isn’t that widespread yet, the GLC F-Cell has been built to be the first “plug-in fuel-cell drive” — at least that’s what Mercedes is calling it. “A lithium-ion battery for autonomous operation is being used in an electric vehicle with fuel cell for the first time,” the press release says. As more carmakers shift toward clean energy, electric and hydrogen-powered vehicles are getting more attention now than ever. EVs have taken the lead, but it seems hydrogen cars are preparing to follow. Both Honda and Toyota have made their hydrogen vehicles available in California, where 35 of the 39 hydrogen stations in the U.S. are located. Where Mercedes will offer their vehicle is still uncertain.